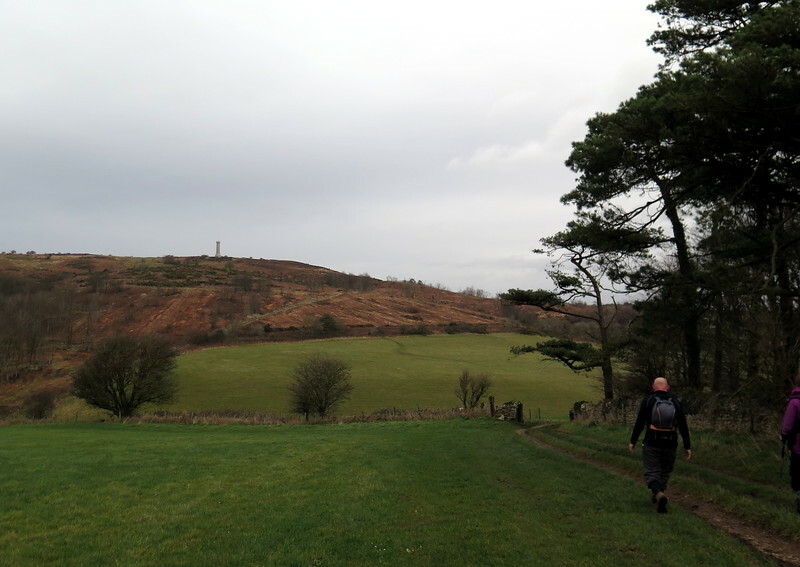 On a day that started with weak sun but clouded over before the walk started, we walked under largely leaden skies with brief light rain showers and strengthening wind. 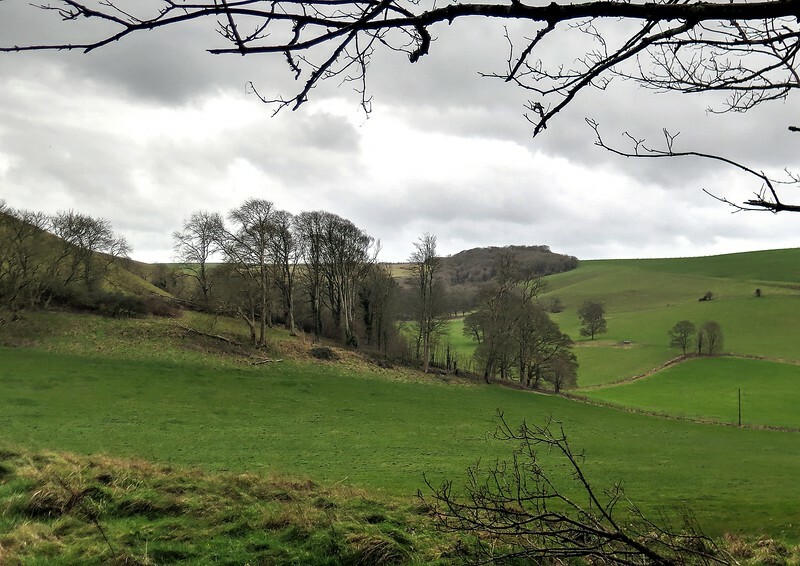 This walk passes some beautiful countryside (thanks Inger) but was interrupted by one of our number going missing, but he apparently has form so eventually we pressed on only to find him contrite in the car park waiting for us at at the end! 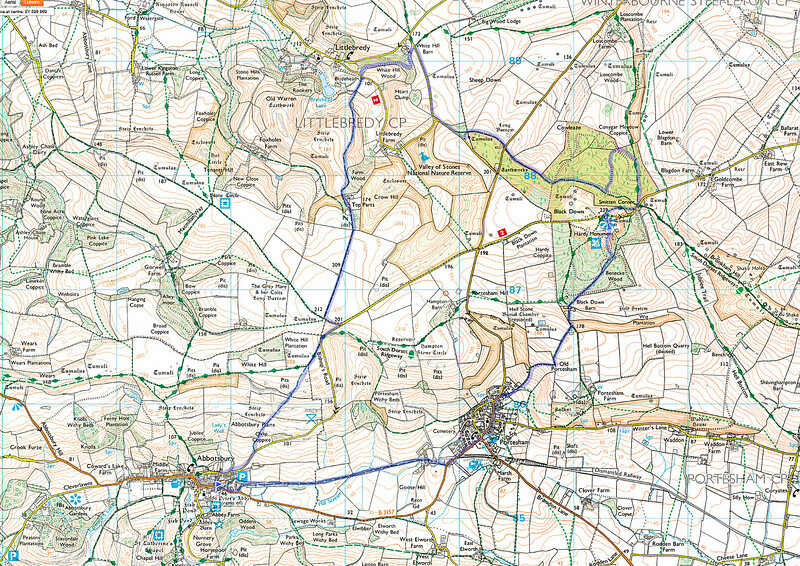 The route actually walked is shown in blue starting at the blue flag in Abbotsbury and we went anticlockwise. 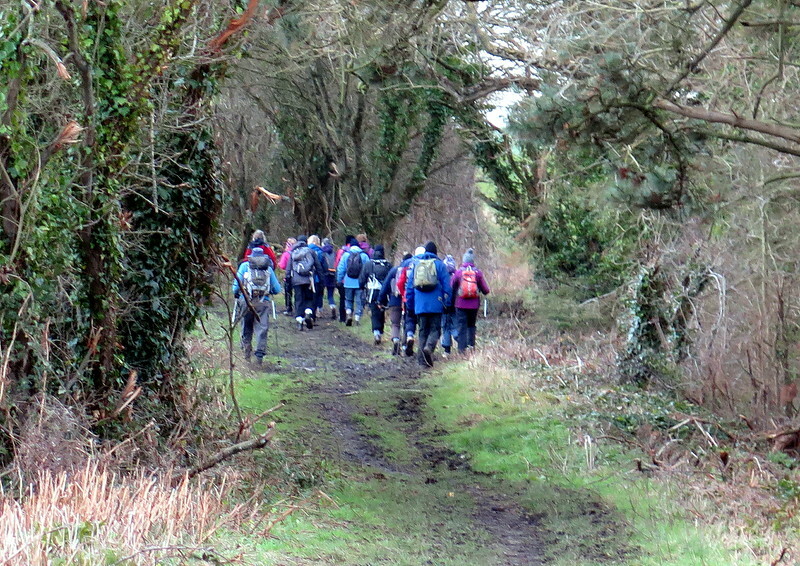 The group of 19 walks off along the disused railway line. 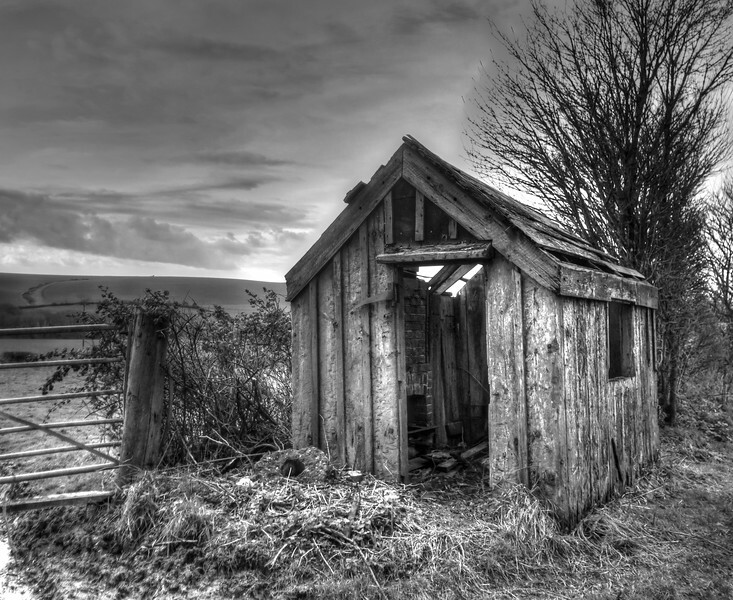 On the side of the abandoned railway remains this rail workers hut, mouldering quietly away. 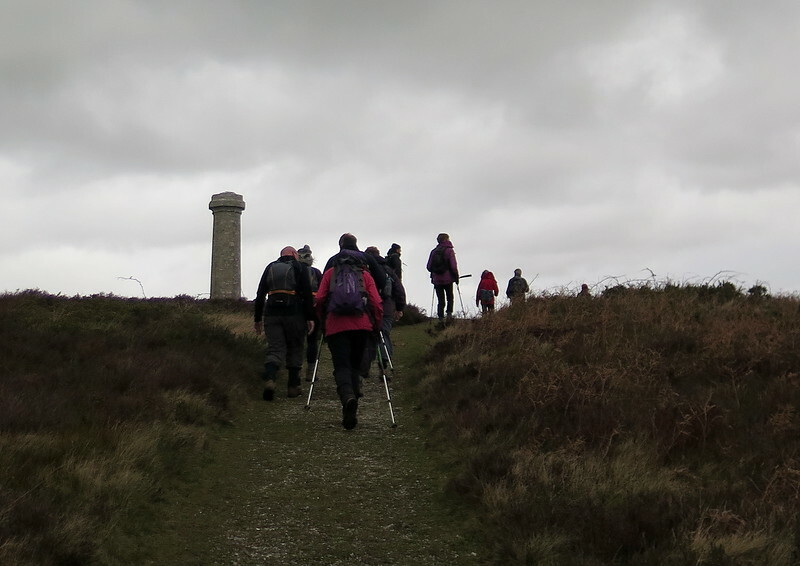 The walk towards the Hardy Monument, designed by his family as a symbolic naval spyglass. The Hardy here is of course the Captain of HMS Victory at the battle of Trafalgar who was with Nelson when he died and went on to become an Admiral himself. Nearly at the top and the wind is strengthening. Littlebredy farm sitting down in the valley. 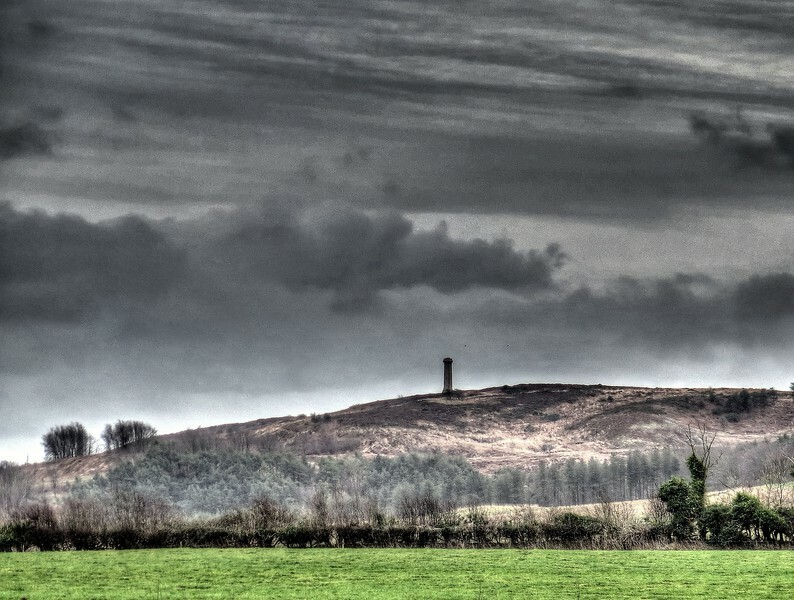 Another distant view of the Hardy Monument. 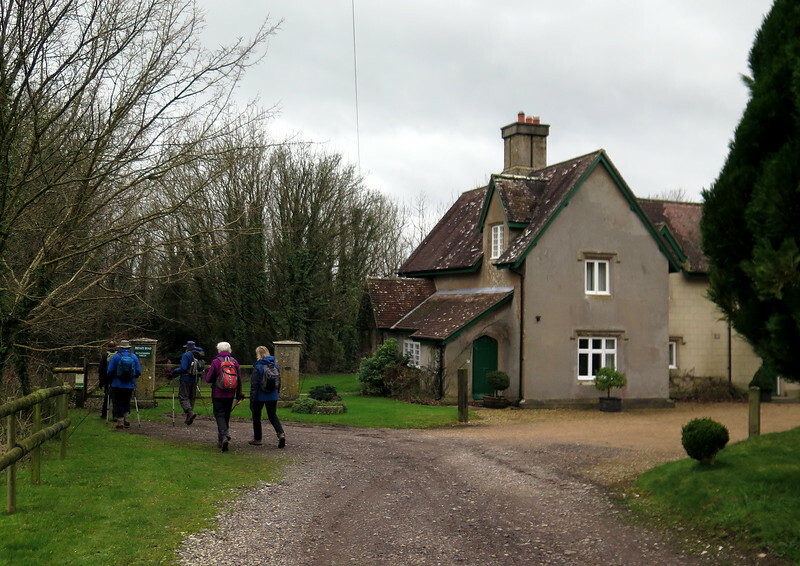 The group passes a house at White Hill. The view past Heart Clump along the valley. 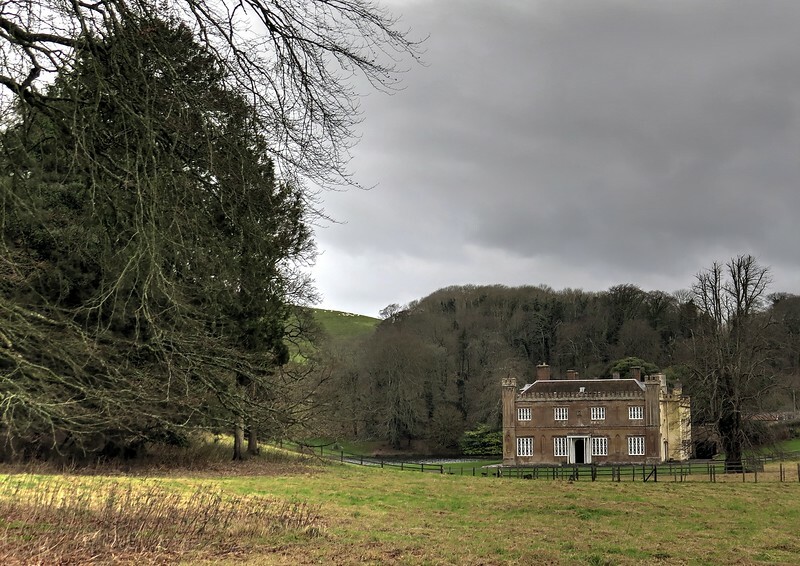 Bridehead House, Littlebredy - the lake to the left of the house is the source of the Bride river which flows away from the camera. 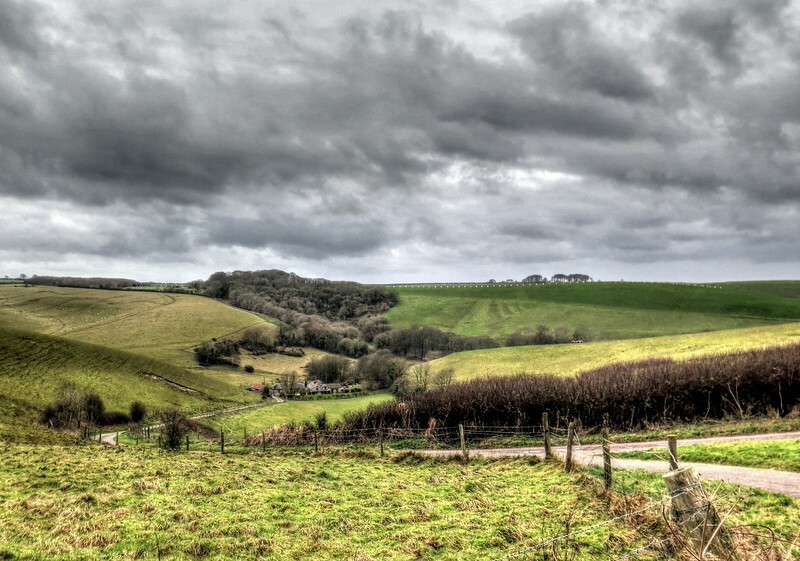 A panorama shot of the beautiful countryside in this area from Farm Wood. 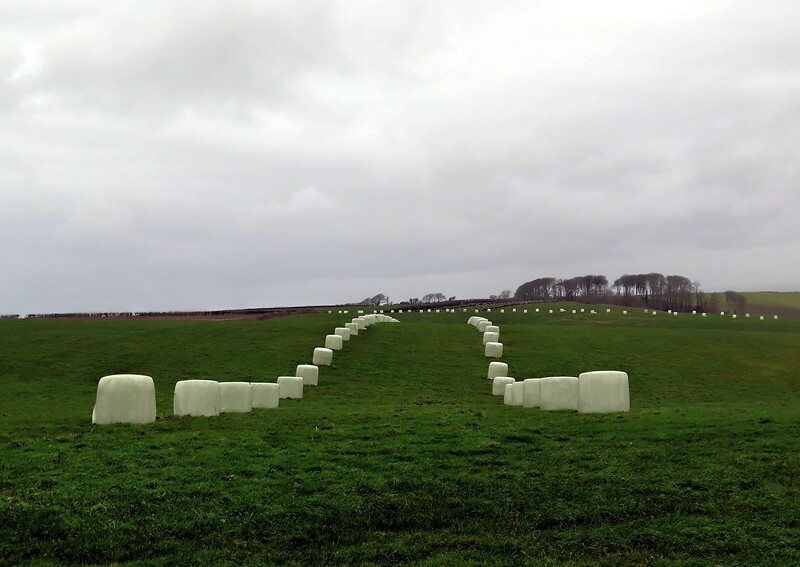 Carefully arranged bales looking reminiscent of an ancient processional route. 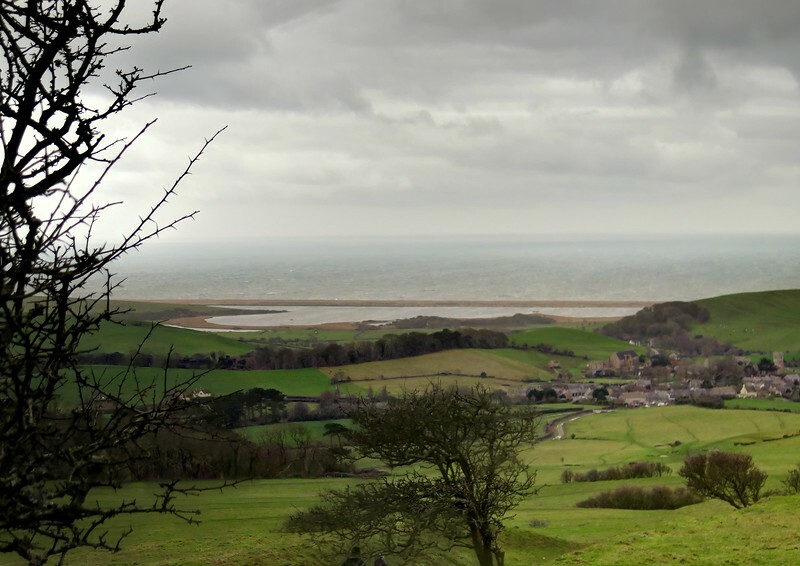 As we near the end point this is the view across Abbotsbury and the Fleet lagoon to the sea.